← Bellydance after Retirement: the beginnings of a plan! I came upon this quote on Tamara Reddy’s blog, Early Retirement Journey and it jumped right off the page at me. I’ve been feeling some trepidation lately…worries that the small budget we’ve set for ourselves won’t be adequate, worried that I will be bored, worried that I won’t make new friends. People keep asking me what I plan to do in my retirement, which sends me into a bit of a panic because I haven’t been able to formulate a coherent answer. But today I feel good, and I’m reminding myself that these are normal fears for someone who is making such a big change – leaving my daily routine, moving to a new part of the country and all that that entails. I would have to be crazy if I didn’t feel nervous about it! Phew! I’m okay! I’m normal! And I know that it will be okay because, really, it is only my circumstances that are changing, not my attitude. I have always lived a big life, and now I will have the time to explore and enjoy the things I love to do even more…live even bigger! What do I plan to do with my retirement? Well, I am a healthy 52 year old woman and my husband is a healthy 55 year old man and we both look forward to being active together. We both enjoy walking with the dog, and look forward to living in a climate where we will be able to do these family walks most of the year ’round. We don’t do much hiking these days because of time constraints, but when we spent a month in Australia a couple of years ago we went hiking almost every day, and we hiked into places that I had no idea I was physically capable of going. And I loved it! Both of us are looking forward to throwing the camper on and driving into nearby provincial & national parks to check out the trails. I’ll start off slow and train up to the steep hikes, getting stronger and fitter with every outing. And then there are our bicycles, and believe me we have plans for using those! I love yoga and Pilates, and I’ve included classes into the budget. I figure I can meet some new friends this way, too. I also look forward to having time to write, and get involved in a writer’s group. In fact, I’m taking another creative writing course right now and loving it. I would like to do some volunteer work as well, and I’m interested in working with children. Maybe I could be part of a food-for-learning program and help prepare & serve breakfasts in the schools. I’m sure the volunteer possibilities are endless. And music, of course. We will definitely be involved in music – I almost don’t even need to mention that one, it’s so obvious! 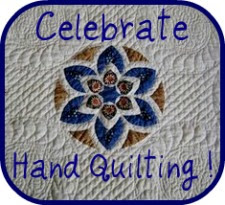 I haven’t even mentioned my love of handwork, and you know that knitting and quilting are going to be high on my list. I want to experiment in the kitchen and make interesting meals together with my husband, and share those meals with new friends. I look forward to reading a good book from cover to cover. And if I want to do something I will, and if I don’t want to do something, I won’t. Whatever I end up doing, it will include participating in my new community. And, hopefully, I will make a positive contribution. And if we get homesick for the Yukon, we can drive the truck & camper up whenever we want and stay for as long as we like. The cabin at Fox Lake will be there waiting for us. I am falling in love with the endless possibilities. This entry was posted in Balance, early retirement, life, Middle Age, retirement and tagged balance, creativity, dance, early retirement, Fox Lake, garden, hiking, knitting, quilting, walking, writing. Bookmark the permalink.